Imagine it’s 2008, at the onset of the worst economic downturn since the Great Depression. Now imagine you have $80,000 in credit card debt. You’re going through a divorce, you’re self-employed, and your income is dropping rapidly as the recession worsens. Faced with that kind of nightmare, most people would probably think about looking for a more traditional job, selling their home — or even declaring bankruptcy. Not Glenn and Amber Schworm. 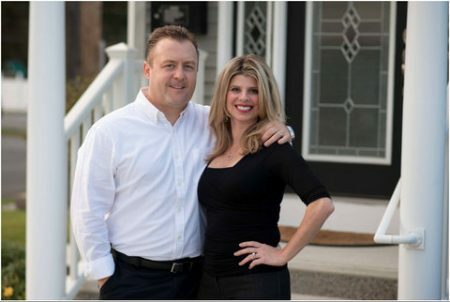 Instead of getting conservative, the upstate New York couple decided to try their hand at real estate investing, racking up even more credit card debt in the process before they turned things around. “We were pretty desperate,” says Glenn, recalling the day in 2008 when he and Amber, who at the time were both going through divorces from their previous spouses, decided to buy a house and try to flip it as quickly as possible, putting renovation expenses on credit cards. It was a big risk, but it paid off — in no small part because they recognized the risk and the potential pitfalls. Because they had good credit, the Schworms were able to get a mortgage to buy the home, but they had no cash to pay for renovations, and Glenn’s credit cards were maxed out. That meant they had to put all their expenses on Amber’s credit cards, including materials such as tile, carpeting, and cabinets. They also needed to buy tools, since they weren’t equipped for renovating houses. By the time that first house sold, they’d put in hundreds of hours of sweat equity — and put about $13,000 on credit cards on top of the debt they were already carrying. 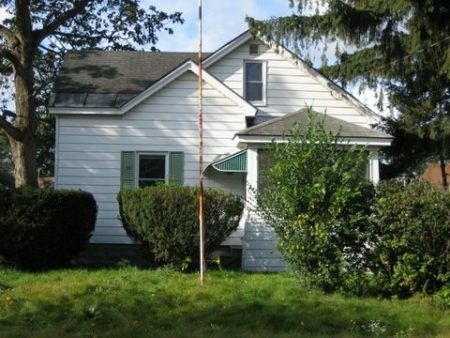 With the proceeds from selling the house, they paid off that $13,000 and walked away with about $17,000 in profit. 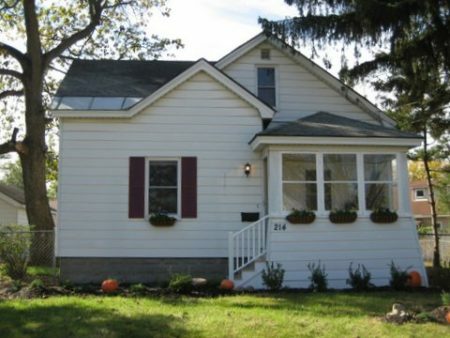 One year and three more house flips later, they had paid off Glenn’s original $80,000 credit card balance. The key to the Schworms’ success: Immediately paying off their credit card balances with the proceeds from their real estate investments. It’s the No. 1 piece of advice Amber says she’d offer to someone else who was thinking about using credit cards to finance real estate investments. Run-down: The Schworms’ first real estate investment, before renovation. Curb appeal: The home after renovation. Today, the Schworms no longer do the renovations themselves. Their business, Signature Home Buyers, now has 10 employees working out of an office building they own in Rotterdam, New York, near Albany. They’ve done about 300 real estate deals since that first house in 2008. Do they still use credit cards to fund renovations? Absolutely. Only now they’re doing it because it’s the most practical source of funding for them, not because they have no other options. “In our world, if you want to borrow money to flip houses, you’re going to pay anywhere from 12% to 18%,” Amber says, referring to short-term loans from the so-called hard-money lenders that are often used by real estate investors. Credit cards can be a cheaper way to go. For one thing, you don’t have to start paying interest until the bill is due, giving you a few weeks to float purchases for free. Amber also likes the option of using a balance transfer credit card if they need to carry the debt a little longer than expected. Now that their business is well-established, Glenn and Amber are racking up a lot of credit card rewards with their business expenses. They went to Thailand a few years ago, and the trip was paid for entirely with points. “When you have 10 renovations going on at once, it adds up pretty quick,” Amber says. “Things are different now,” Glenn says. “My credit card bill might be $60,000 one month, $110,000 the next month.” Those balances are manageable because the business generates the cash flow to pay them off. Amber acknowledges that using credit cards to fund those early investments caused her a lot of anxiety. “My threshold for stress is not as high as Glenn’s,” she says. Glenn says he would do it all again. “If the numbers work and you can make a profit, who cares if it’s a credit card or a loan from grandma?” he says. Even so, both Glenn and Amber say they have seen other investors get into trouble by going too deep into debt. Another problem: Some real estate investors miscalculate the time it will take to renovate a property, or how long it will take to sell. Carrying tens of thousands of dollars in credit card debt longer than expected can be disastrous because of interest. The gamble paid off for the Schworms because they studied the numbers and accurately determined that they could make a profit on their first house flip.